In the wake of the latest Budget, the majority of the public believes both the coalition and Labour have performed poorly on the economy in the past 12 months. The Budget has failed to boost the coalition's reputation, but Labour is not seen as offering a credible alternative on the economy, a PRWeek/OnePoll survey has found. Of the 2,000 people polled, 54 per cent felt the coalition had not done a good job of handling the economy and 44 per cent believed its handling had not improved during the past year. Many thought the Budget was dominated by Conservative thinking, with only 19 per cent believing the Liberal Democrats had a big influence. The measure with the highest overall awareness (30 per cent) was the increase of the lower tax limit to £10,000 being implemented early in 2014. This was also the most popular measure among females. Male respondents preferred the proposal to scrap the 3p fuel duty increase. Both were the most popular two measures overall (33 per cent and 32 per cent respectively). Chancellor George Osborne struggled for approval, with 57 per cent disliking his 'aspiration nation' sound bite. 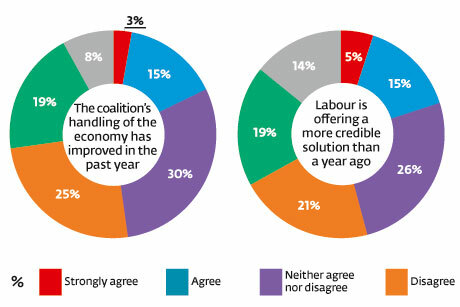 But this does not mean Labour is in favour: 55 per cent were not aware of Labour's economic policies. 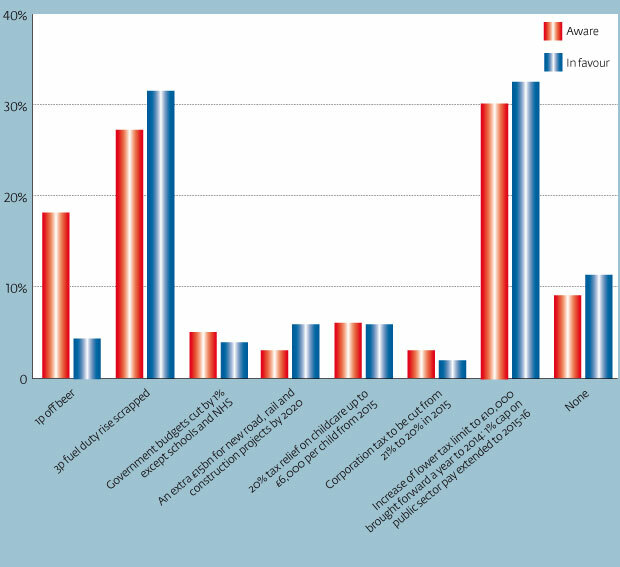 Coalition messaging on Labour's responsibility for the economic crisis also resonated, with more agreeing the party was responsible, 40 per cent, than disagreeing. And in the wake of the London Evening Standard accidentally leaking details of the Budget early, pre-briefing the media was frowned upon - 55 per cent disapproved. Of which measure introduced in the Budget are you most aware or most in favour? 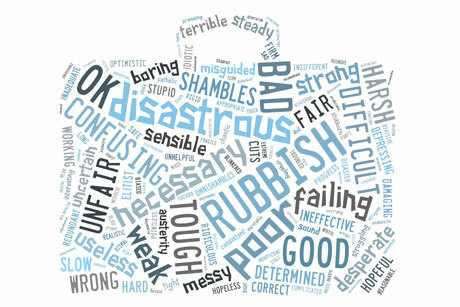 Despite the headline findings, there is some positive news here for Osborne. 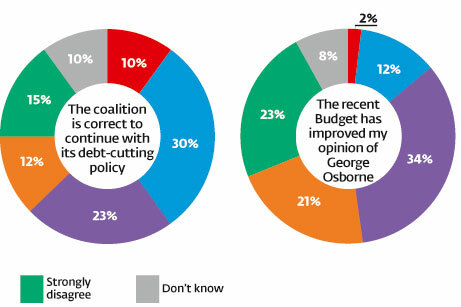 Nearly twice as many people agree with the coalition's central focus on debt reduction as disagree with it and more than half feel that Labour doesn't offer a credible alternative when it comes to the economy. Meanwhile, it seems the Lib Dems aren't getting the credit they will feel they deserve - only 19 per cent think they had significant influence over the Budget, yet the most popular announcement is a Lib Dem policy. The fact that only 13 per cent think Osborne joining Twitter is a good idea is interesting. Perhaps the public simply feels that the Chancellor should be focused on fixing the economy rather than challenging Ed Balls to a Twitter popularity contest. Of course it's early days - at the time of writing, the Chancellor has only sent six tweets - but it does underline the importance of Osborne's team having a decent social media strategy in place.